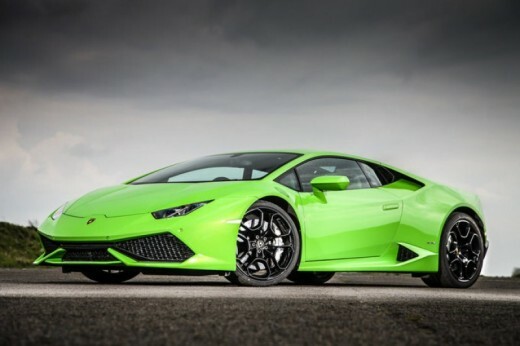 Put your pedal to the metal with this thrilling Aston Martin vs. Lamborghini in Staffordshire that will last approximately 2 hours. 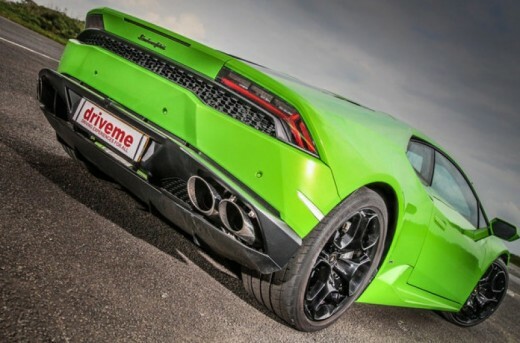 The adrenaline driving experience is for 1 person for a more hands and exclusive experience. Booking in advance in recommended due to high demand of this experience. This exhilarating and engaging experience is a great gift idea that is perfect for that car extremist for a spell binding day. Who will win, the Aston or the Lambo? 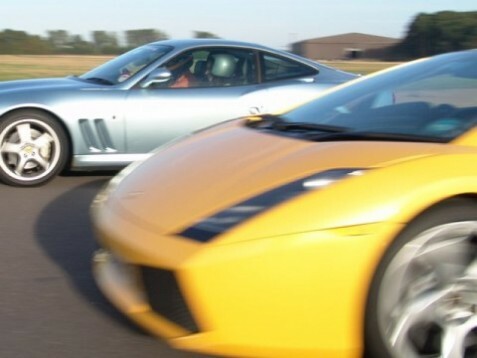 Put your pedal to the metal with this exciting Aston Martin vs. Lamborghini experience in Staffordshire. The Aston Martin V8 Vantage is awesome but in a completely different way to the Lamborghini. It's arguably the best Aston ever! 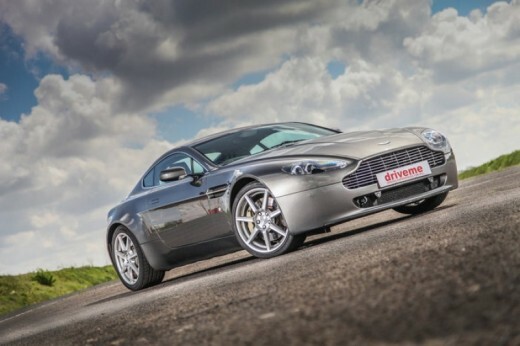 Autocar magazine said of it, "The best Aston on sale, a hugely desirable car". It's like a 5 star hotel that is capable of almost 200mph. The luxury is unrivalled, the looks and drivability of the car have to be experienced to be believed. The Lamborghini Gallardo and its V10 engine wails behind your head and pushes you forward at the most incredible pace!Driving these two ultimate supercars in one day is the gift of a lifetime. Your driving experience may be cancelled or postponed in bad weather conditions such as ice or heavy rain, which will make driving at high speeds dangerous. You will be able to rebook for another time. Please call the location before departing if you are in any doubt. You will be at the venue for approximately 2 hours and you are required to arrive at least 30 minutes before your experience. In-car tuition is just with your instructor, although briefings are likely to be shared. Spectators will receive a free 4x4 Off-Road passenger ride and, subject to availability, extra driving sessions and passenger rides are available for purchase on the day. You should wear a long-sleeved shirt, flat-soled shoes and trousers that are suitable for the weather on the day. Any special equipment will be provided to you. This experience is available on selected weekend and weekday dates throughout the year. During the booking process, you will be asked to give three dates in order of preference. I cant compare which carwas better because I thought both of them were fantastic! If only you got to keep the cars you drove on the day. Going to go on another driving experience with you soon and take a Ferrari for a spin, thanks team! Courses run on selected Saturdays and some weekdays from February to December with The Aston Martin vs. Lamborghini – Staffordshire. 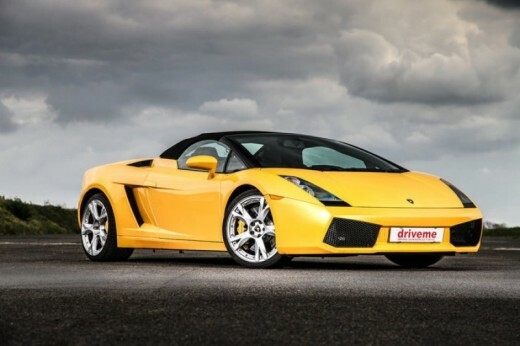 The Lamborghini Gallardo was named after a famous breed of fighting bull. The Lamborghini Gallardo offers two different transmissions, a conventional (H-Box) six-speed manual transmission, and an advance six-speed electro-hydraulically controlled 'semi-automatic single-clutch sequential manual', which Lamborghini abbreviates to "E-gear". The "E-gear" allows the driver to make shifts much faster than a manual transmission would. The driver shifts up and down via paddles behind the steering wheel, and does not and cannot manually actuate the clutch. Please be advised that there is a maximum height of 6'6'' and a maximum weight of 18 and a half stones to take part in the thrilling Aston Martin vs. Lamborghini Driving Session. All participants must hold a clean manual driving licence and may be required to show it on the day. Do you need any help with this gift idea, Aston Martin vs. Lamborghini - Staffordshire (UK)?